Do I Need A 4-Point Inspection When Buying A Home? 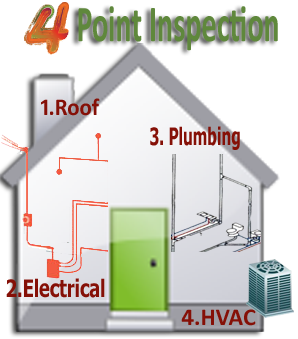 A 4-point inspection is not a comprehensive home inspection and does not necessarily include a deficiency list or a detailed analysis, which would be part of a comprehensive inspection. When buying a home, a comprehensive home inspection is recommended. Buyers use results of this inspection to discover items that may not be working properly and need to be fixed or issues with the various systems that need to be taken care of.